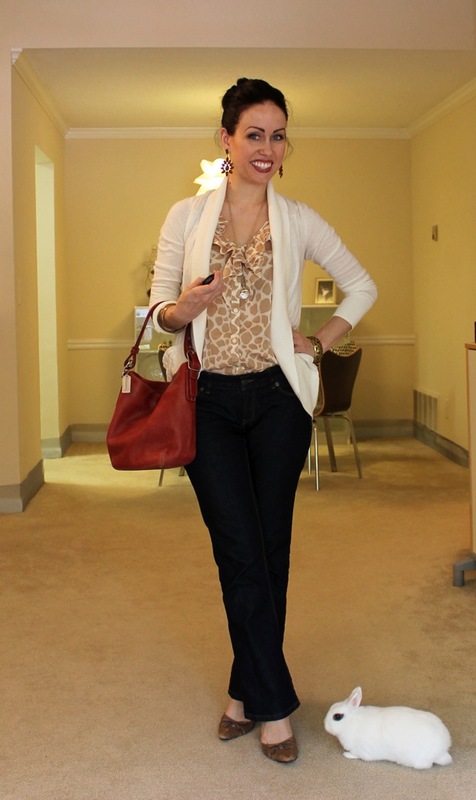 This is what I consider a safe outfit - it's easy to looked pulled together in a hurry with a nice blouse, cardigan, fitted jeans, and heels (and add in a bold piece of jewelry). And if you missed the blog sale, you can find it here. I really like the earrings and the top! 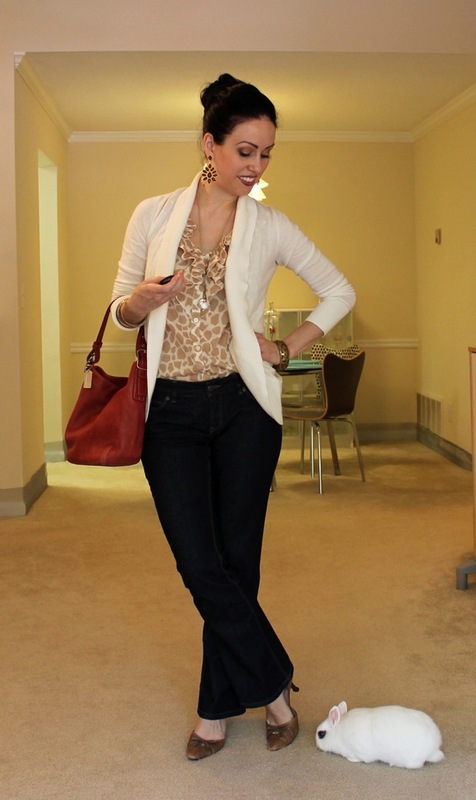 I love outfits like this, you can put it on and go! Hope you have a nice weekend! I love this look. And the bunny?! OMG!! You look so amazing that your bunny does not outshine you but it definitely has a little spotlight on it's own. --Such clean white fur! Makes me want to throw paint into my closet... err, but I won't. Anyway, I agree that this is a perfect go to outfit! I love how there is a perfect shot of your earring here.